Mr. Hugh Moreau was born November 10, 1927 to the late Ismay Bernard in Trinadad and Tobago, Port of Spain. He graduated with an A.A. Degree from Staten Island and received his B.A degree in Accounting form St. Francis College in New York. His career included being an accountant for the Ministry of Finance, Trinidad and Tobago, Special Assignment-Secretary Committee to revise the pension of employees of Trinidad and Tobago and was an associate accountant for the Health and Hospitals Corporation of New York City. He was of the Catholic religion and served as an alter boy as a youth and participated in Knights of Peter Claver, Knights of Columbus and member of Living Faith Baptist Church. He enjoyed playing and watching soccer, he was a goal keeper, weight lifting, and long-distance swimming. He retired after many years of service on November 10, 1989. He was united in holy matrimony on April 20, 1958 to Cynthia Lewis. He was preceded in death by his son, Joe Moreau. 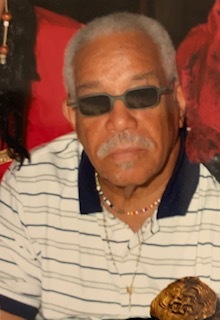 He leaves to mourn his passing: dedicated and loving wife, Cynthia Moreau; son, Gary Moreau (Dwala); grandchildren, Nathaniel and Naomi Moreau; great-grandchild, Ava Lafferty; sister, Ethel Alexander; friends, Victor Cupid, Damion Joseph and Hugh Marcial.